You won’t need to search for things to do in Shanghai — the challenge will be narrowing down your options. 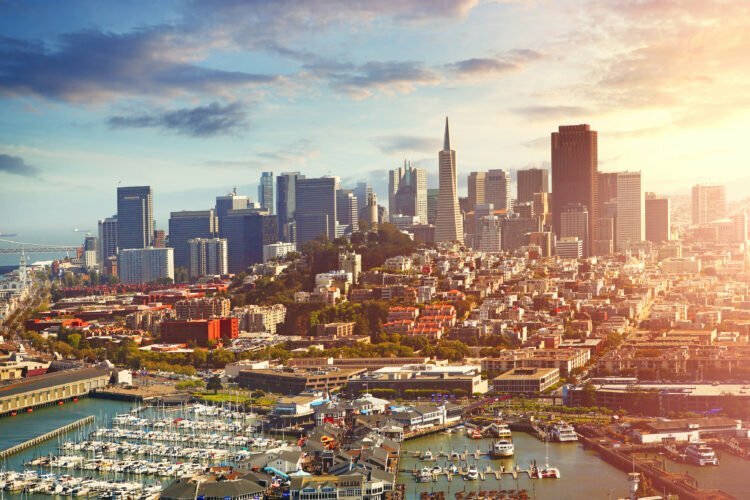 We’ve spent a lot of time here and it’s actually one of our favorite cities in the world. 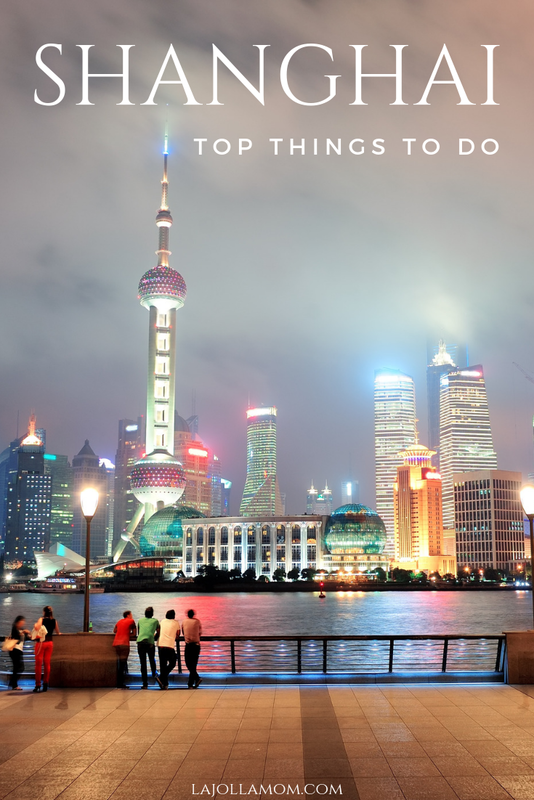 My number one tip for Shanghai travel is to plan how you will spend your time during your visit. The one constant in Shanghai is change. There’s always something new to see or explore, the futuristic skyline is always evolving, and the vibe of the city is dynamic. This is also why it’s important to double check every address of any attraction or store you’ve read about prior to going. Some people find it a bit overwhelming because the traffic is crazy, there are so many people, and the streets can feel like a maze. It’s also diverse, welcoming, and full of amazing energy. Summers in Shanghai are hot, but the short fall season is pleasantly temperate, dry, and usually less crowded. 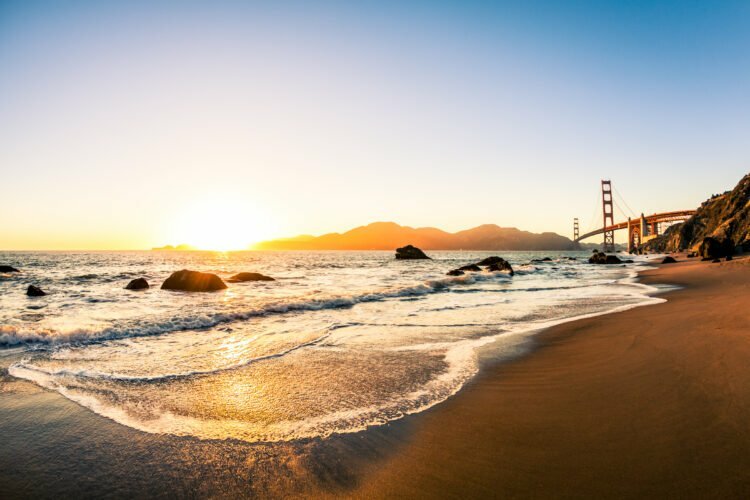 Spring is another good time to visit the city, but you should try to plan your visit around public holidays because it will be much more crowded then. While it doesn’t snow often in Shanghai, winters are still quite cold and damp. Due to school schedules, we typically visit for three weeks in summer. It’s hot but we’re able to power through it. The rain can sometimes impact sightseeing so it’s wise to book a hotel with an indoor pool and budget a few extra days for sightseeing, just in case. Keep in mind that you’ll probably be doing a lot of walking around Shanghai. It’s a good idea to stay in a hotel that’s near a metro stop or close to the sights and attractions that interest you most. The best way to try the best things to eat in Shanghai is through a food tour. 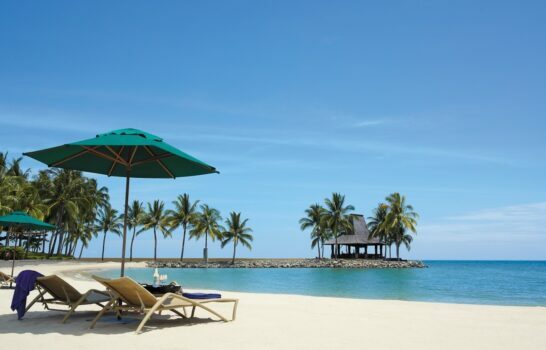 I personally use Context Travel for private and small group tours in Asia and Europe. Shanghai is flush with cabs and fares are inexpensive compared to those in the U.S. Note that many taxi drivers do not speak English. 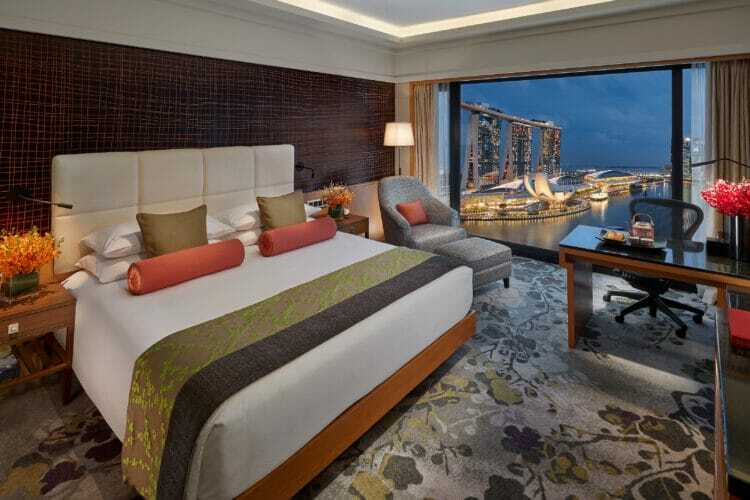 If your Mandarin skills aren’t the best, always have your hotel and destination written on a card in Chinese. There is also traffic to consider. Our preferred mode of transportation is Didi, which functions similarly to Uber. Download the app. It will allow you to input a foreign credit card and request rides in English. The driver may still not speak English but the app can translate for you. The metro in Shanghai is actually the world’s longest rapid transit system, rides are cheap, and chances are you’ll get where you want to go more quickly on a train than in a car. The metro is easy to use. 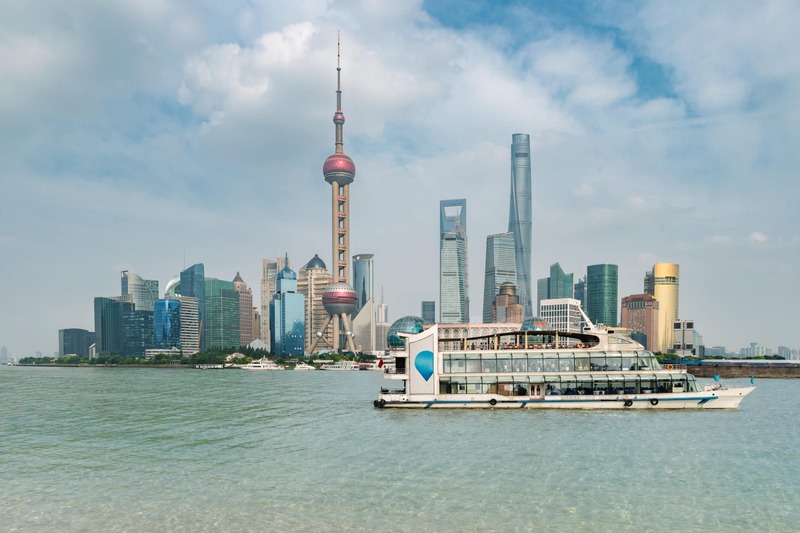 If your Shanghai travel itinerary includes visiting the city’s major attractions, use the Go Shanghai Card and save up to 30% on the price of admission. 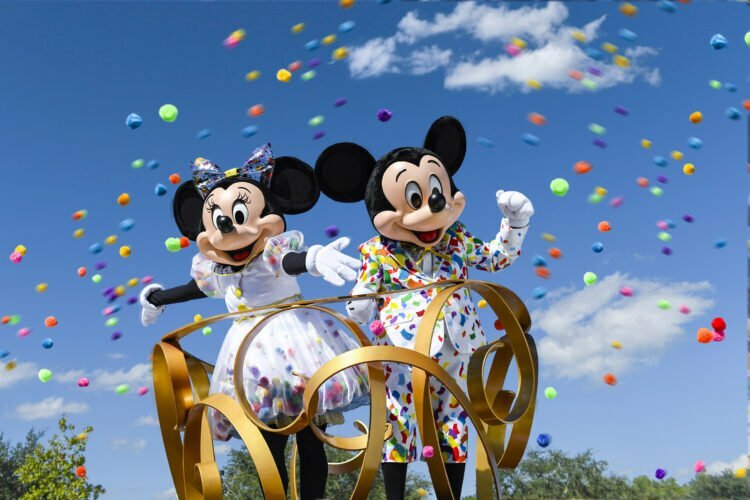 As a prepaid attractions pass, it also means you can carry less cash (helpful because the ATM fees in the city are usually high). There are two pass options. Choose between the All-Inclusive Pass (all you can do for 1, 2, or 3 days) and the popular Explorer Pass (choose 3, 4 or 5 attractions). Whether you’re a history buff, a lover of architecture, or just here for the soup dumplings, you’ll find enough in Shanghai to fill multiple itineraries. 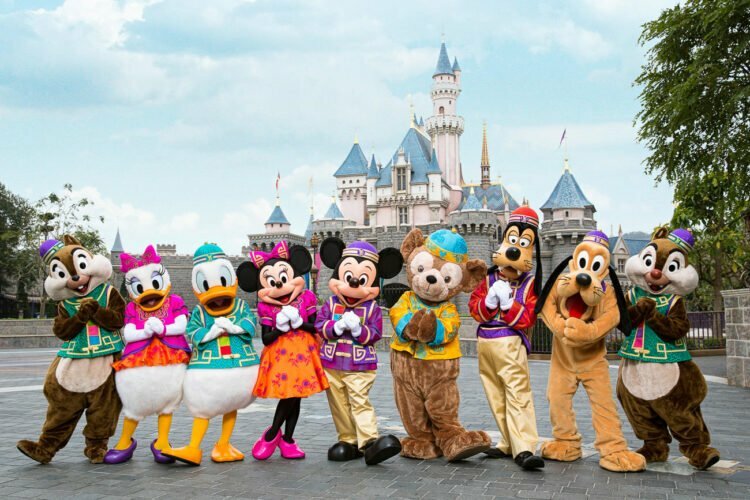 If visiting Shanghai with kids you might assume that Shanghai Disneyland® should be a main destination, but the fact is that there’s plenty in the city to keep kids entertained if you’re not a huge theme park fan. 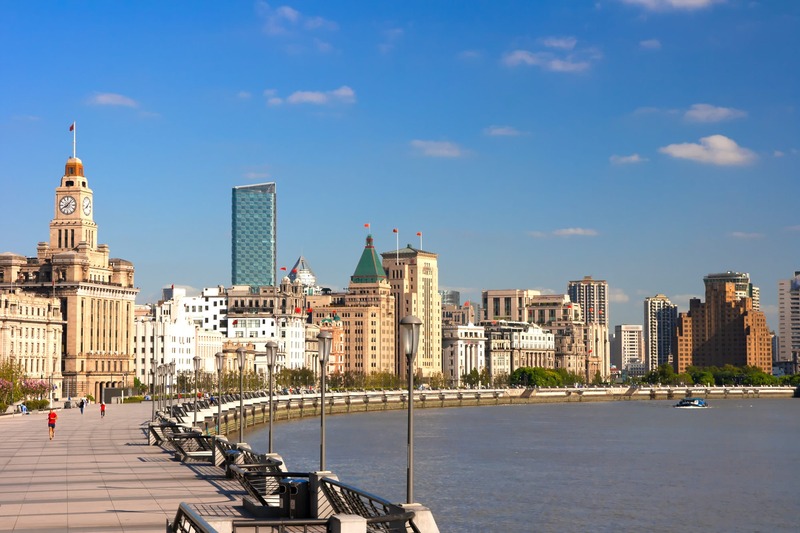 This waterfront hotspot on the west bank of Huangpu River is one of the most famous tourist destinations in Shanghai. The architecture alone makes the Bund worth a visit. 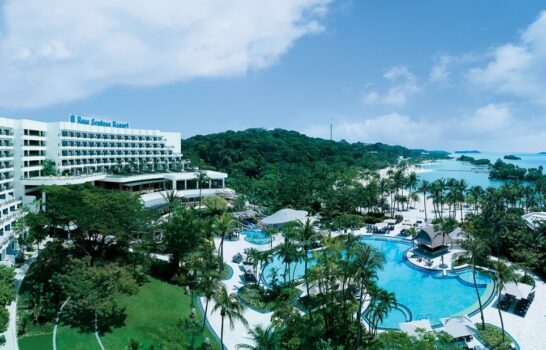 Along the mile-long promenade, you’ll see Gothic, baroque, and neoclassical style buildings. It’s also a great place to people watch, the skyline view is absolutely gorgeous, and kids like the amusement park-type games (bring coins). Early in the morning, you’ll usually see locals practicing Tai Chi. Take the Bund Sightseeing Tunnel, between the Bund and Pudong. 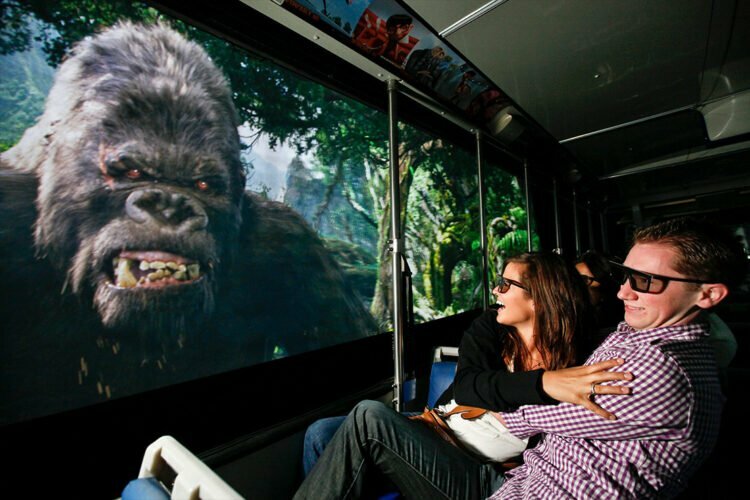 It’s a (touristy) yet fun ride on a people mover that passes through a series of cool psychedelic multimedia displays. 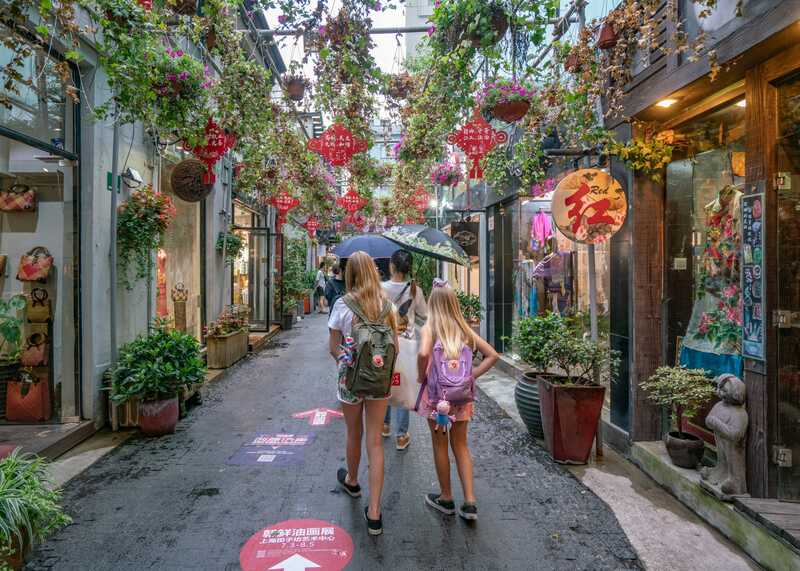 This century-old destination is the place to go if you want to shop in Shanghai. Nanjing Road is divided into two sections at People’s Square. East Nanjing Road is the popular pedestrianized portion leading from People’s Square to the Bund. We love it for buying everything from fresh fruit to calligraphy paper. 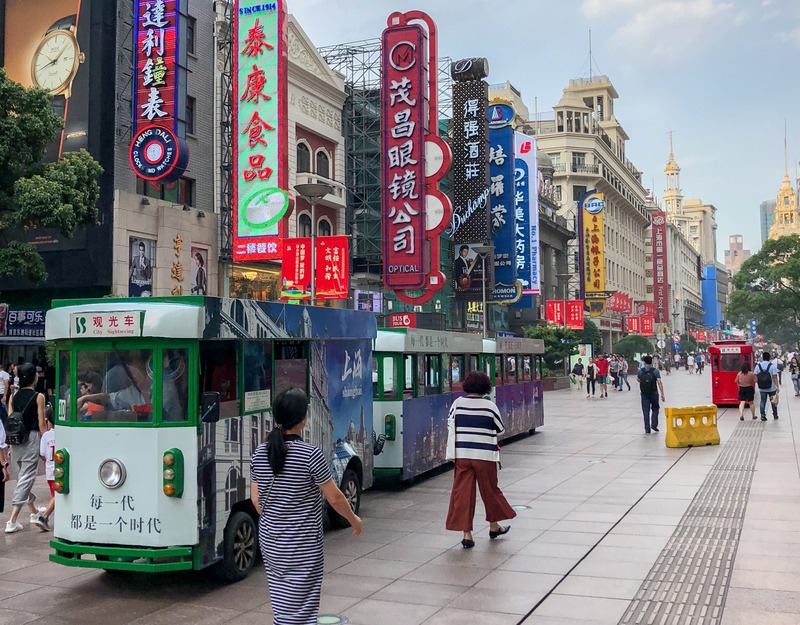 One fun way to see East Nanjing Road is to take the old style Dangdang sightseeing tram, a 10-minute ride that gives you a street-eye view of the entire stretch. And, this is also where the new Hello Kitty Shanghai Times theme park is located. West Nanjing Nanjing Road has its share of big modern malls like New World City and luxury stores from Tiffany & Co. to Isetan, a popular Japanese department store (that we love). There’s also plenty to eat, from smoked fish to moon cakes to wine cured crabs and specialty desserts. There’s also a Da Dong Roast duck restaurant on West Nanjing Road. Built in 242 AD, Longhua Temple is the oldest temple in Shanghai and also the largest. The seven-story red pagoda is absolutely beautiful but closed to the public. You can, however, explore the five main sculpture-filled halls of the temple itself. 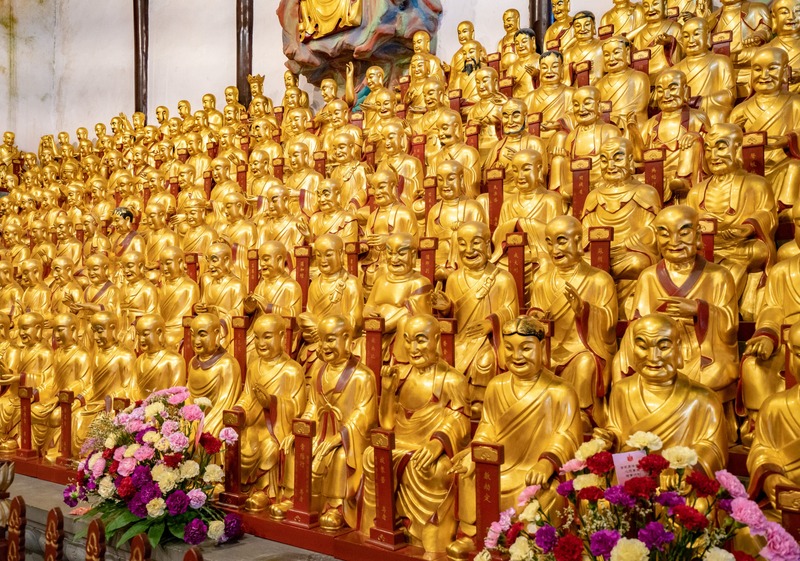 These are filled with gorgeous sculptures, including many Buddhas and 500 golden statues that shine in the light. Inside the Bell and Drum Tower, you’ll find a 14,000-pound bell traditionally rung 108 times to mark the start of a new year. For a small charge, you can strike it three times. Hungry? Grab simple snacks and drinks in the gift shop. Water towns are small towns in China known for their canals, rivers, and bridges. 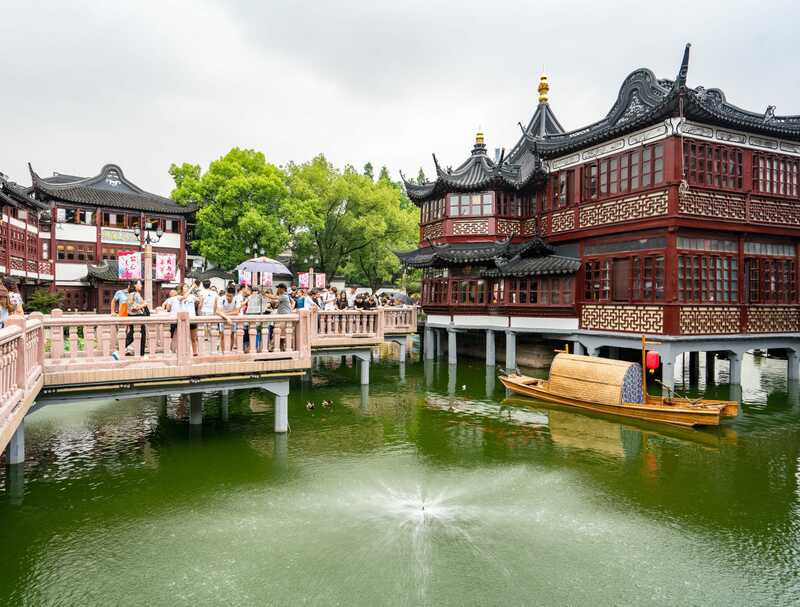 Zhujiajiao, which is often referred to as the Venice of the East, is one of the best-preserved water towns in China, with beautiful historic buildings lining the waterfront and 36 ancient stone bridges still in use to this day. You should absolutely take a boat ride along the canals, though you can also book private tours of Zhujiajiao. Be sure to come hungry and sample the street food (try the salt baked quail eggs or braised pork wrapped in palm tree leaves). 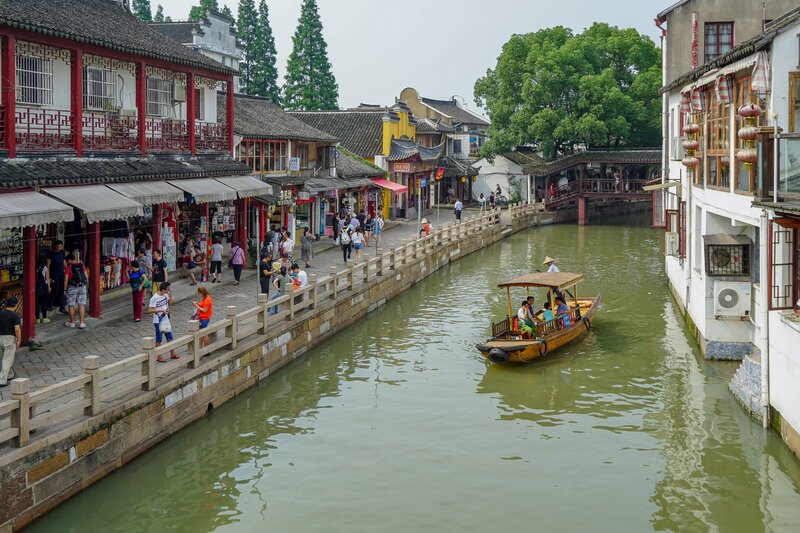 Other water towns near Shanghai include Suzhou, Tongli, Qibao (closest one to downtown), Zhouzhuang (one of the most famous in China), and a handful of others. In Shanghai, there’s a market for almost everything. Markets here are indoor or open-air shopping hubs where multiple vendors of a single type gather together to sell their wares. You could, for instance, go to the pearl market or the jewelry market or the tea market. 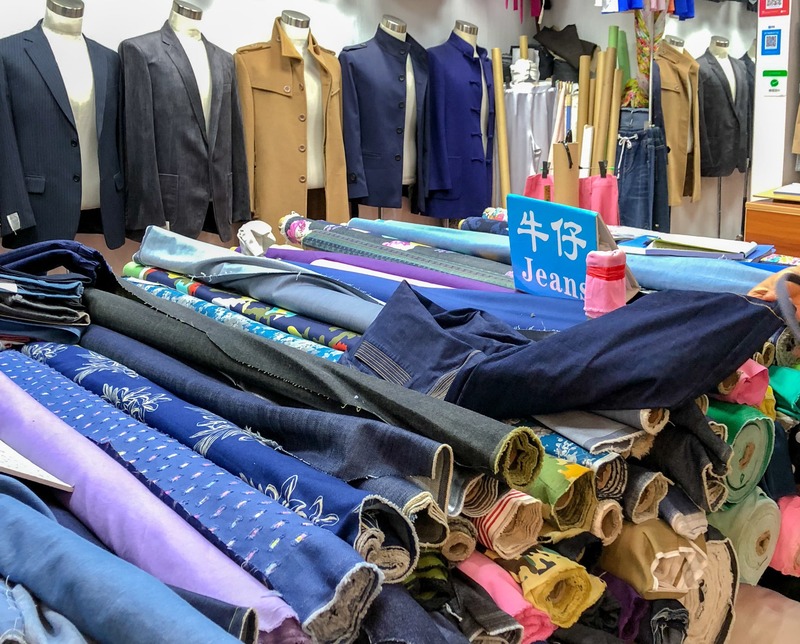 If you appreciate made to order fashion, head over to the South Bund Fabric Market where there are scores of fabric vendors and tailors who can make just about everything, from couture gowns to cashmere coats. 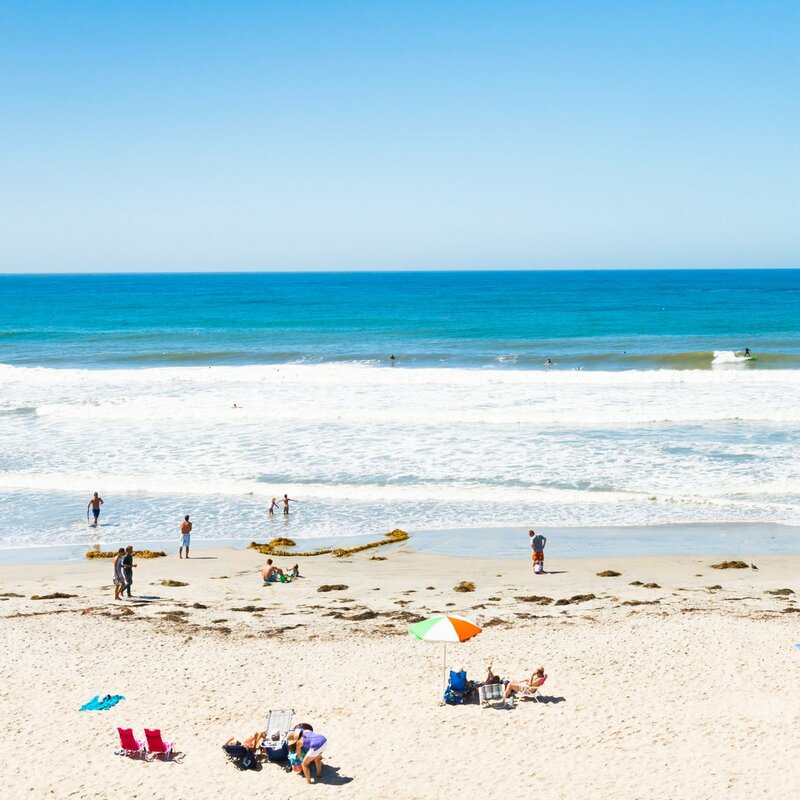 Bargaining is the norm here, so feel free to haggle a little but don’t expect steep pricing cuts on already less-than-you’d-pay-abroad prices. 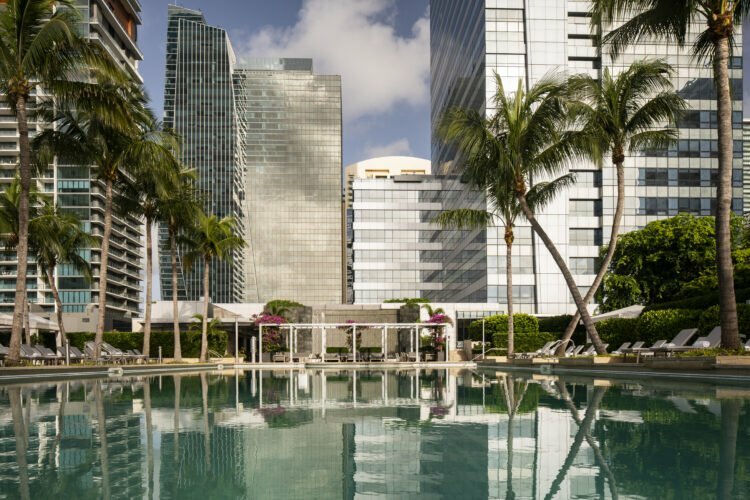 You’ll find that most vendors are willing to send custom goods to your hotel (an extra small fee may apply). And do bring any pieces in your existing wardrobe to see if they can be replicated. I have several custom cashmere sweaters from Jessica, stall 212. My friend had several pairs of really nice jeans made inexpensively at Jimmy’s Jeans, stall 218, and a gorgeous velvet coat at Velvet King, stall 283. 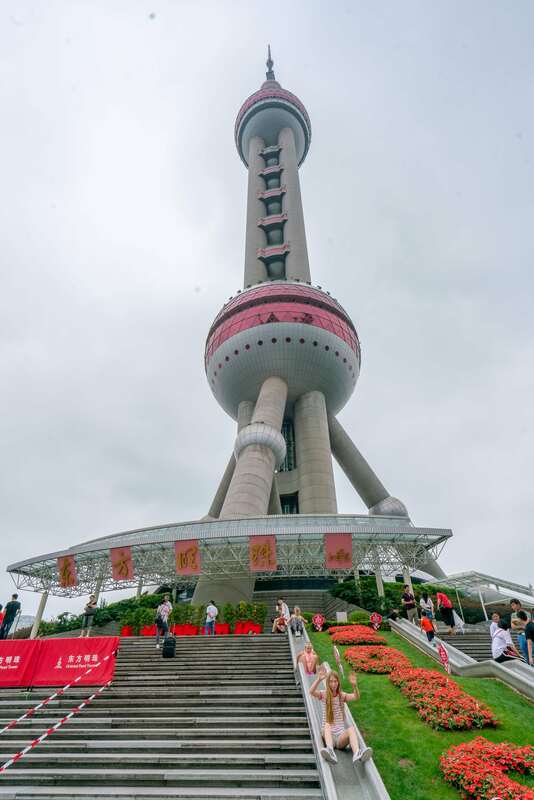 This space-age showpiece of the Shanghai skyline is the third tallest TV and radio tower in the world, with 15 observation spaces in addition to the famous glass-bottom observation deck. 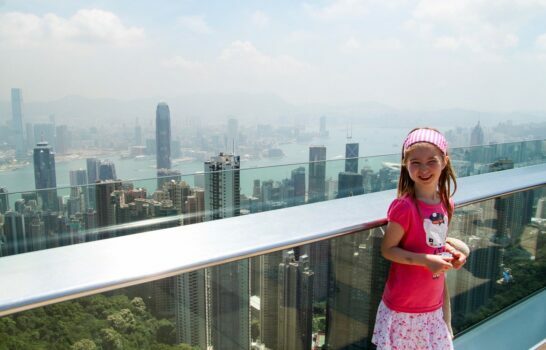 You can also enjoy the view from the tower’s revolving restaurant, try the virtual reality roller coaster (big hit with tweens and teens), or visit the Shanghai History Museum, located at the base of the tower. 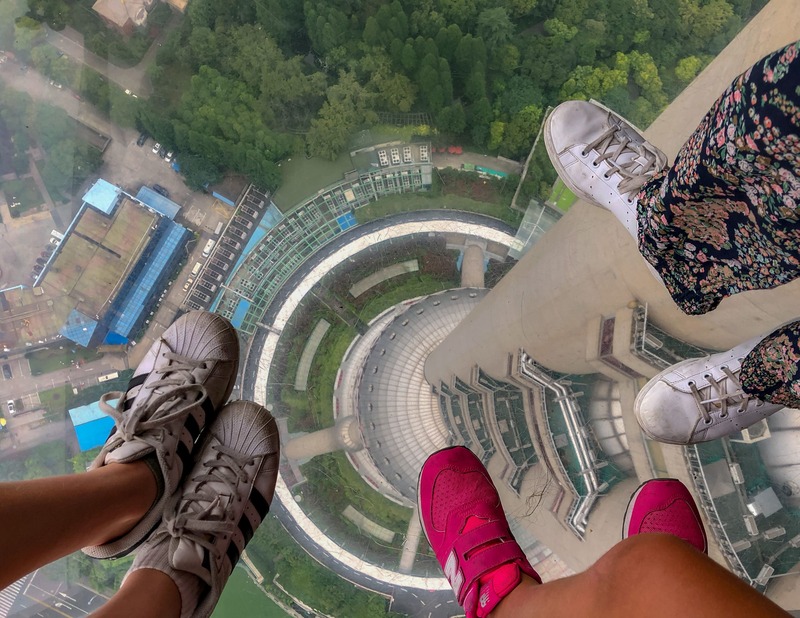 Be warned, however, that the lines for the upper observation deck can be long during peak tourism season, even if you get tickets in advance with the Go Shanghai Card or right here. Walk on glass floors in the Shanghai tower observation decks. If you want great views from other nearby observation decks, try Jin Mao Tower (the third tallest building in Shanghai), which has a glass skywalk without rails; the Shanghai World Financial Center, which has multiple observation decks; or Shanghai Tower (the tallest building in China and the second tallest in the entire world). This large classic Chinese garden (also known as Yuyuan Garden) was built during the Ming Dynasty by the Pan family. The garden was the biggest in all of Shanghai at the time, and the expense of its upkeep would ultimately bankrupt them. 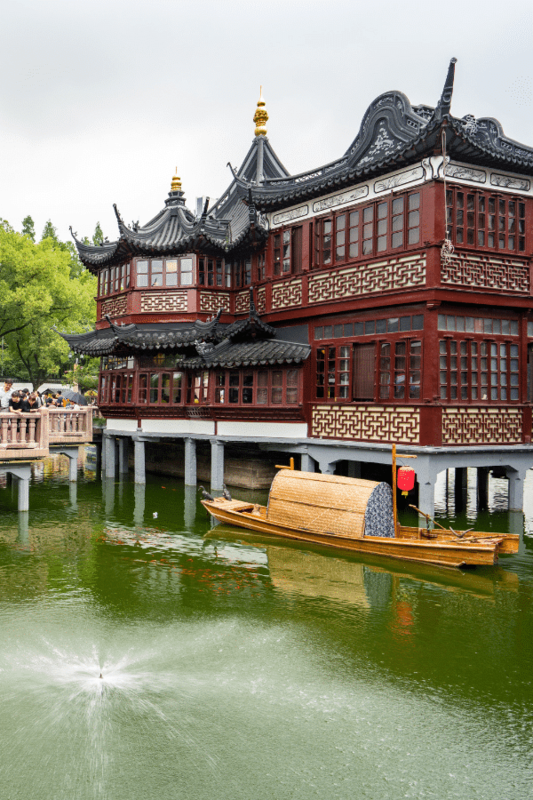 Yu Garden was opened to the public in 1961 and is a busy spot that you’ll find on many lists of things to do in Shanghai. 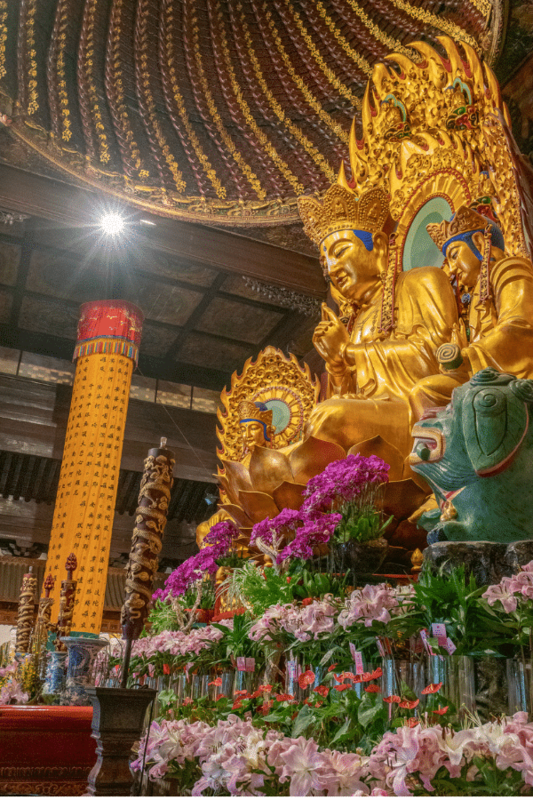 There are lovely koi ponds, impressive rockeries, stately halls and pavilions, bridges, and the Exquisite Jade Rock — a naturally carved piece of sandstone originally commissioned by the Huizong Emperor who ruled from 1100-1126. You’ll need tickets to enter the gardens portion but not to enter the complex of shops. We try to visit every time we’re in Shanghai and like to shop the vendors surrounding Yu Garden for teapots, trinkets, and more. Huangpu River, also known as Huangxiepu or Chunshen River, separates Shanghai into two parts (Pudong and Puxi) and runs through more than ten districts of the city. Over the years, the river, sometimes called the Mother River of Shanghai, has been an important source of drinking water, fish, and shipping. 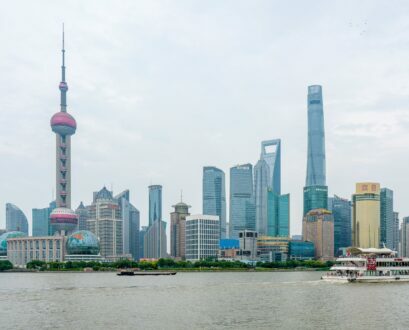 Today, it’s also a tourist draw, thanks to the Bund, the Lujiazui Finance and Trade Zone, the skyscrapers on the east bank, and the classical architecture on the west bank. You can walk or take an evening cruise along the Huangpu River. 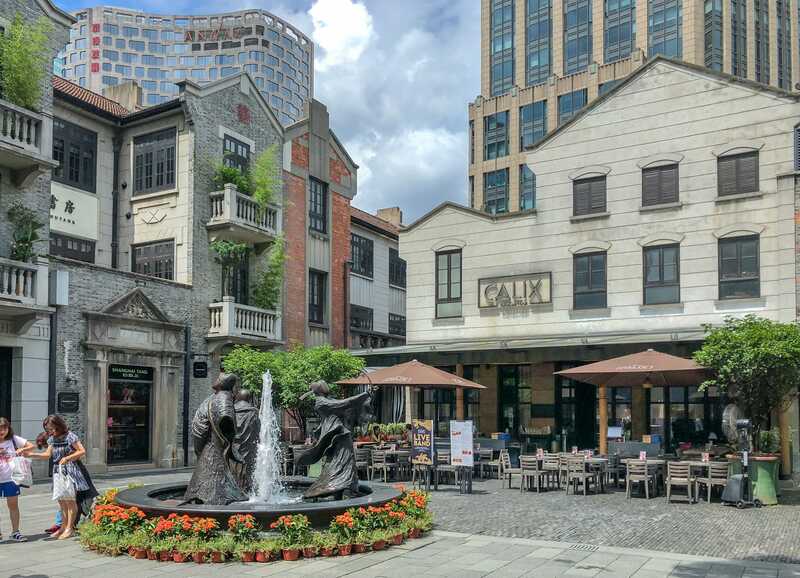 Xintiandi’s central location, car-free alleys, modern malls, and antique Shikumen (stone gate) houses have made it one of the most popular parts of Shanghai. During the day, it’s a shopping destination with upscale stores and fine restaurants with cuisine from all over the globe. As loyal fans of the brand, we always eat at the Shanghai Tang Cafe. After dark, you’ll find a vibrant nightlife scene. Visit the museum housed in the former First Congress Hall of the Communist Party for some history on how people lived in Shanghai in the past and how Xintiandi, in particular, has changed over time. 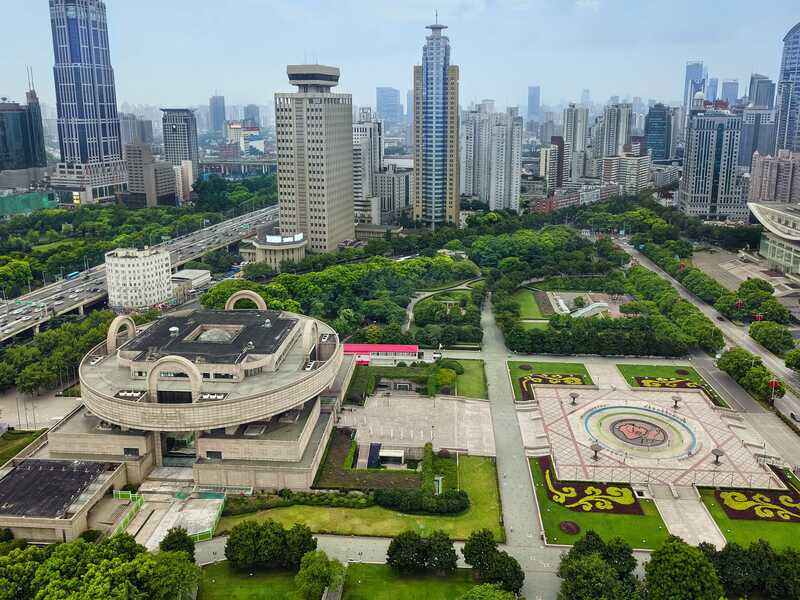 This vast city green space surrounded by museums is one of the best places to observe the heartbeat of the city during your Shanghai travel adventures. In between visits to the Shanghai Museum (free to enter), the Shanghai Urban Planning Exhibition Hall, Museum of Contemporary Art Shanghai, and the Grand Theater, you can sit on a bench and watch locals practicing Tai Chi, flying kites, roller skating, or even dancing (usually in the mornings). There is even a very small amusement park inside People’s Park. The best time to visit People’s Square will be during the week, as it can get pretty crowded on the weekends. 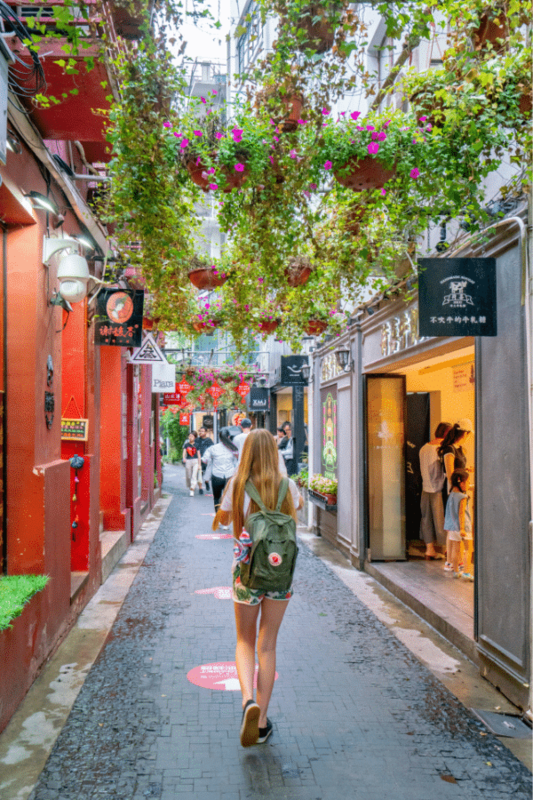 This area of Shanghai, in the French Concession, is known for its hip and artsy galleries, cafes, shops, studios, and other trendy hangouts that are popular with young people, expats, and tourists. These stylish stops are often in traditional Shikumen or cool converted factories. It’s a place for wandering, and while you can get a map at the tourism center, getting lost here is actually one of the most fun things to do in Shanghai. 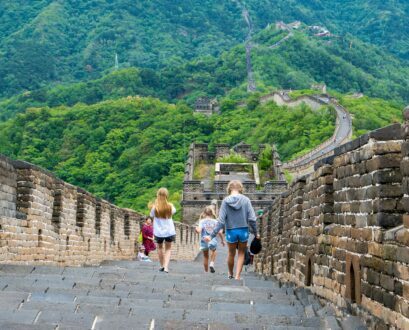 We highly recommend placing this stop on your Shanghai travel itinerary. Plan time to get lost in random tea, candy, and specialty shops. 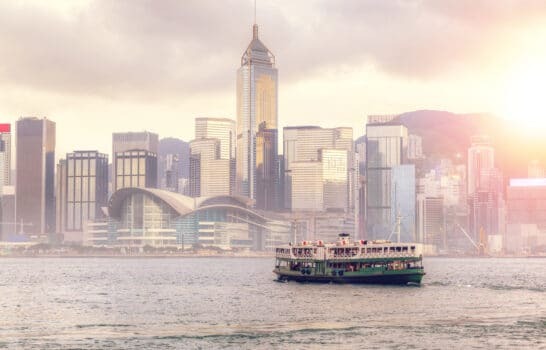 Shanghai has an amazing food culture, and it’s especially well-known for its cuisine that uses freshwater fish, eels, river crabs, and water plants in novel ways. 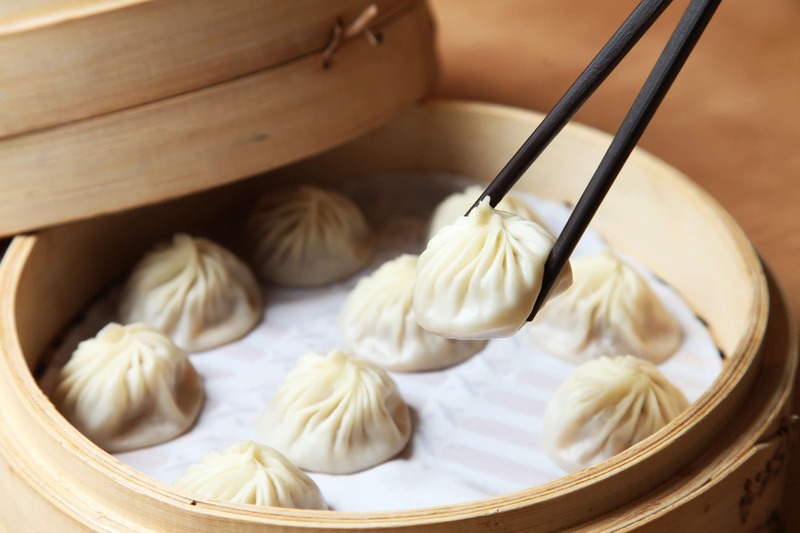 One thing we love to eat in Shanghai is Xiao Long Bao, the absolutely delicious and delicate soup dumplings filled with pork, veggie, shrimp, or crab in a hot broth. I promise that the XLB here is so much more flavorful than any you’ll have outside of China or Taiwan, even at overseas Din Tai Fung branches. We also are huge fans of Sheng Jian Bao, pan-fried Shanghainese dumplings. You can find them on the cheap at Yang’s Fry Dumpling (during our last visit RMB 8 for six large dumplings) which has delicious outlets all over town. Cong You Bing is another local treat — filling scallion pancakes that are perfect for a midday snack. Tea eggs are also popular and available everywhere, even at newspaper stands. 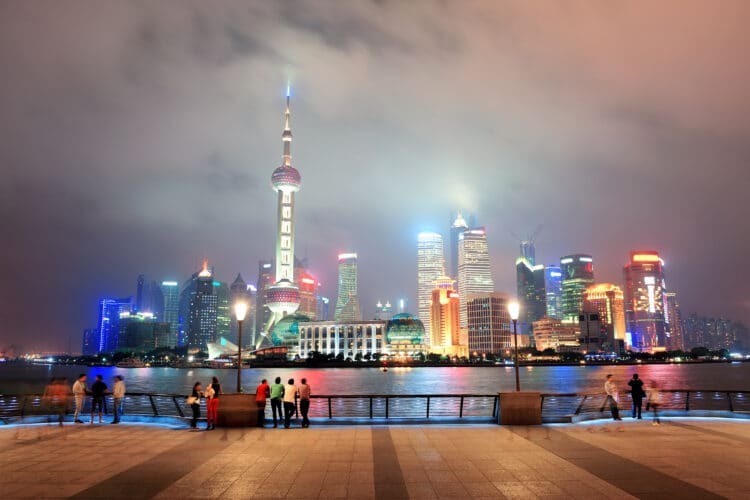 What are your favorite things to do in Shanghai?